It's a swap! Biz from Busy Biz Blogs will be spending some time with you today. I am over in her lovely corner of Blogland. I know that you will love what she has to show you today. Biz is a very talented lady, but even more than that she is an amazing mother, wife, and friend. I am blessed to have met her through blogging and even more blessed to be able to call her my friend! Here's Biz! I'm Biz from Busy Biz Blogs. I felt so blessed when Jennifer asked me to come over and share my most recent craft project with ya'll. I am the wife of an Air Force Officer and I am blessed to be a stay at home mom to my beautiful baby girl Bitsy. With all the transition in our lives, adding a baby is a lot of change, finding time to craft was a challenge at first. We are a little over 5 months in and I'm finally starting to feel like a normal human again, most days! 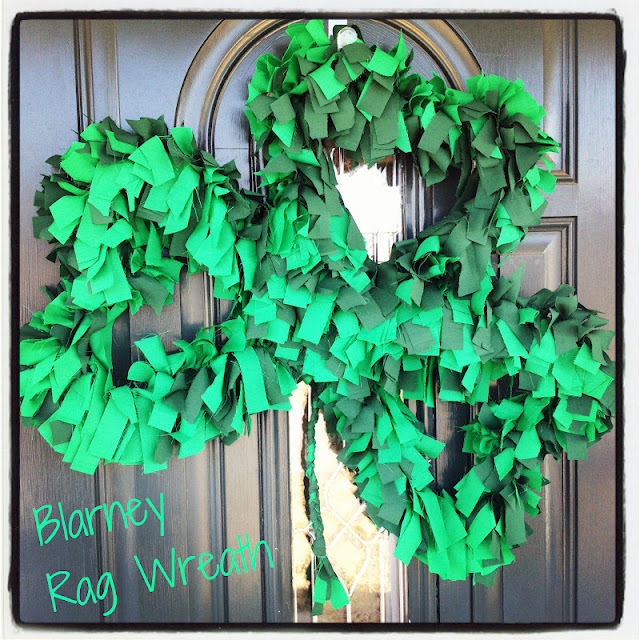 Today I am going to share with you my Blarney Rag Wreath. 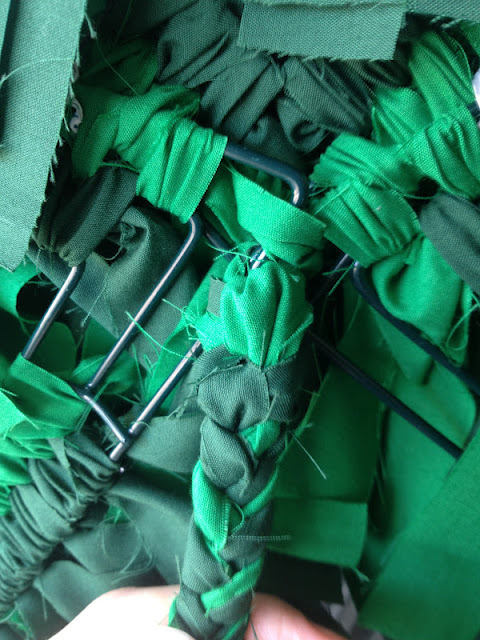 1 yard each of 2 types of green fabric. I got all my supplies at Hobby Lobby, but I've seen these heart wreath frames at most craft stores near the floral section. Fold your fabric in half long ways. Fold in half long ways again. 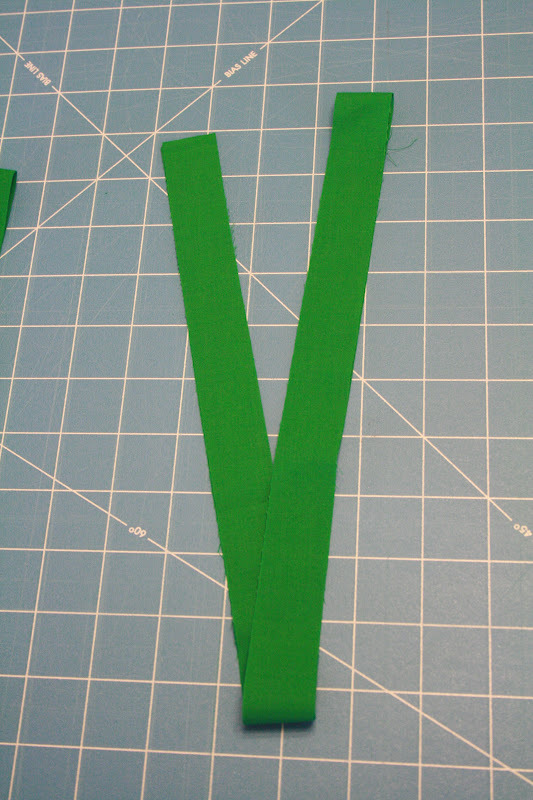 Now cut 1" strips in the fabric. You'll have strips like this when your done. Cut each of those strips into 5 pieces. You should end up with strips that are approx 1"x 7"
Figure out how you'd like to lay out our clover. Then starting in the center, start tying your strips of fabric on. As you can see you'll want to tie your hearts together at first. Once that is done you'll start tying the fabric around 2 bars at a time. The final touch is to add your stem. Take your extra long pieces that you saved from earlier and loop them through your back two adjoining hearts. You'll have 6-8 long streamers hanging down. 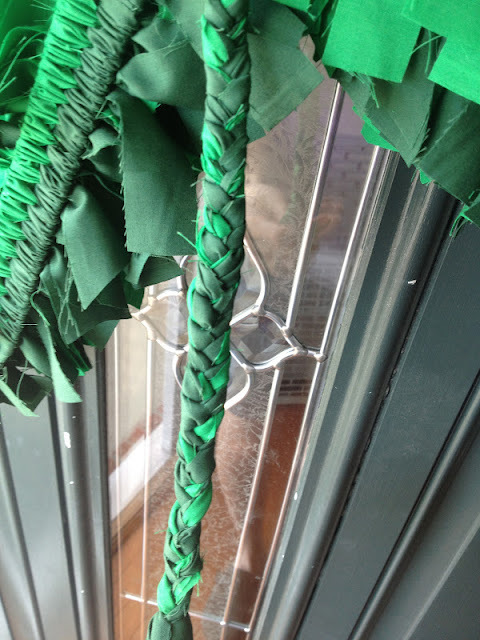 At this point you can gather them haphazardly and braid them together. When you are done you may want to go around the edges and clean up or sharpen them. I trimmed up a little and here was my final result! Your very own St. Patrick's Day Wreath. I just want to thank Jennifer so much for having me over today. Jennifer is such a wonderful friend to have here in blogland. I feel so blessed each and every time I stop by to visit her and check on her little ones! It's crazy that our babies are nearly the same age and growing so quickly! I hope you all feel as blessed by her as I do! Feel free to come by my place anytime you want...in fact I'm hosting a give away if you are feeling lucky?! This is so cute! What an genius idea.